Although you may have clear vision, only a regular and complete eye exam can guarantee the health of your eyes. 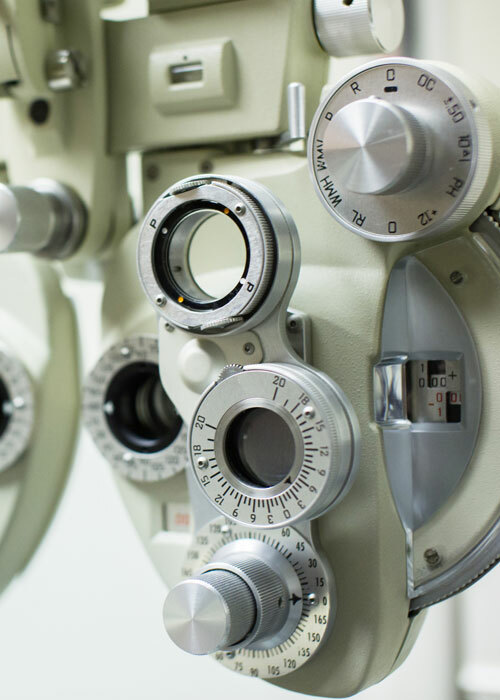 The following information will help you better understand the relevance of the eye exam tests you may undergo during your visit to your Optometrist. During a complete eye exam, both your vision and eye health will be measured and evaluated through a series of distinctive tests. Visual Acuity: Measures the eye’s ability to detect details using the Snellen chart. Refraction: Your Optometrist will carefully measure for the presence of myopia, (nearsightedness), hyperopia (farsightedness), astigmatism (warped vision due to corneal irregularities) and presbyopia (diminished focussing ability due to age). Keratometry: Measuring the curvature of the eye’s surface is an important test for detecting glaucoma, as well as being crucial for the fitting contact lenses. Eye movement: Evaluating how well both eyes are aligned or coordinated is very important. Coordinated eyes allow you to have stereoscopic (3D) vision and accurate depth perception. © 2018 Marpole Optometry, optometrists in Vancouver, BC. Member of Optometric Services Inc.